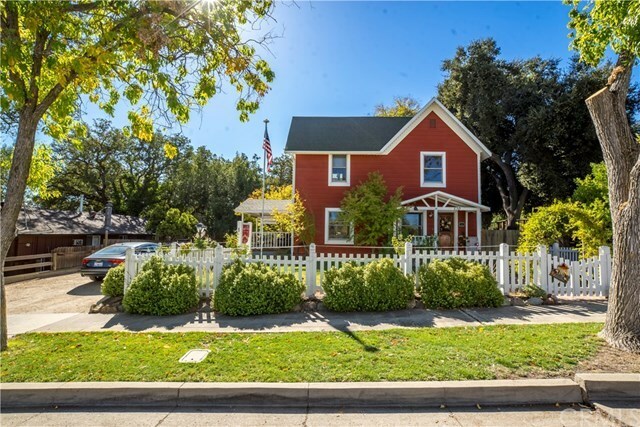 Step back in time when you enter this amazing turn of the century restored home located in the heart of Westside Paso. Walk through the front door into the foray and admire the original hardwood floors, stairs, banister, doors and hardware. Wander through the living room, notice the wood-framed dual-pane windows by Marvin, and the coved ceilings. Enter the farm style kitchen and dining room with soaring windows and ceilings, built-in china cabinet with original glass, deep farm kitchen sink, professional 6 burner Wolf stove, granite counter tops and hanging pot rack. The electrical panel is newer and oversized to accommodate large events, industrial tankless water heater also included. Off of the kitchen is a bedroom, full bathroom, built-in wardrobe, and an office. Head upstairs to see the 3 additional bedrooms & 3 full bathrooms, all with the same beautiful hardwood floors and detail to the past. Included in the sale is a lovely custom made dining table for 10 made from reclaimed wood that came from the home during the kitchen remodel. The backyard is tastefully landscaped and set up for entertaining, including an outdoor kitchen with a Santa Maria style BBQ pit, a beautiful wood deck, relaxing water feature, storage shed and a small cellar for wine storage. There is ally access to the backyard and an extra parking spot in the ally which totals 5 parking spaces. This is a one of a kind home, schedule a viewing today!! Directions: On 9th Street between Oak and Vine.